No matter what you wear, as long as it is from the famous Gucci brand; it is easily noticeable. 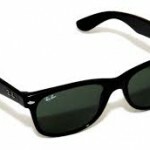 This is because Gucci is known for its exclusive style and elegance. 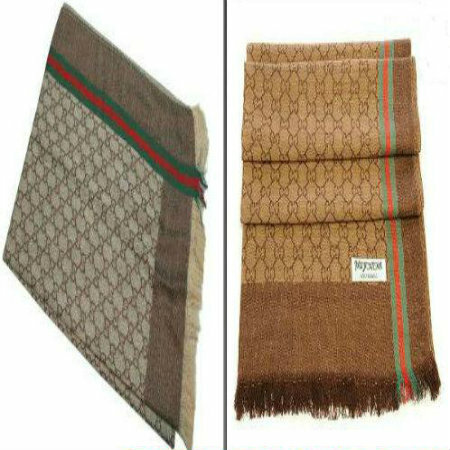 But if you are shopping for a common Gucci product like their scarfs, there are many replicas and it is virtually impossible to differentiate between a real and fake one. Even those shoppers who are brand loyal and never compromise on quality can be at sea when it comes to identifying an authentic Gucci scarf. If you’re one of those people, then there’s nothing to worry since knowing a few things will help you easily distinguish between a real and fake scarf. Don’t be fooled into wrapping a replica around your neck. You deserve the best! The very first identification of a real Gucci scarf is that it is extremely warm when you have to wrap it around your neck. Even if you are standing up against cold wind blowing on your face, you will never feel chilled. Carefully examine the logo which will be printed on the scarf. Is it engraved or imprinted? Is it in the same font and style as the original Gucci logo should be? Are the spellings correct and is the logo of high quality or raw, edgy and smudged? Like most other Gucci products, the scarf has an authenticity card that testifies that it is genuine. 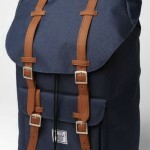 It carries this endorsement from the brand itself. If that card is not received, chances are that the scarf is not original. Try to find out where the scarf is manufactured. 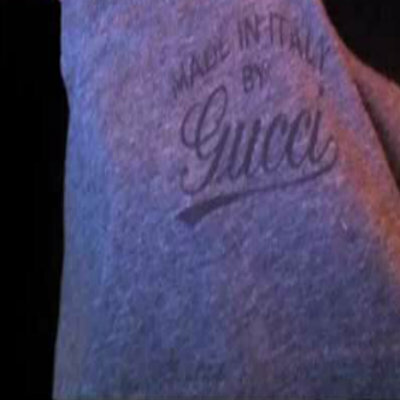 If you see a MADE IN ITALY stamp then it original, otherwise for a fake Gucci scarf, it will be MADE IN CHINA. 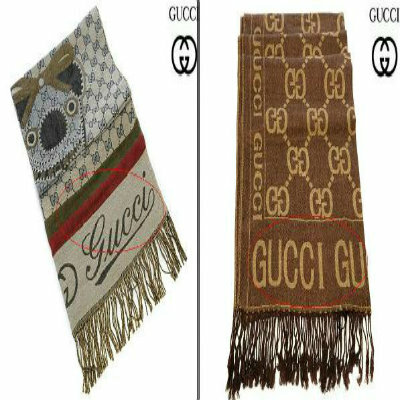 Remember that price of an original Gucci Scarf is on the higher side. Hence if you find it somewhere on an incredibly low price then the scarf is not original.